Organised by the Rotary Club of Lutterworth Wycliffe and the Lutterworth Share and Care group, proceeds will go to the Lutterworth Share & Care group (a local charity supporting those who are living with dementia, and their carers) and other rotary charities. 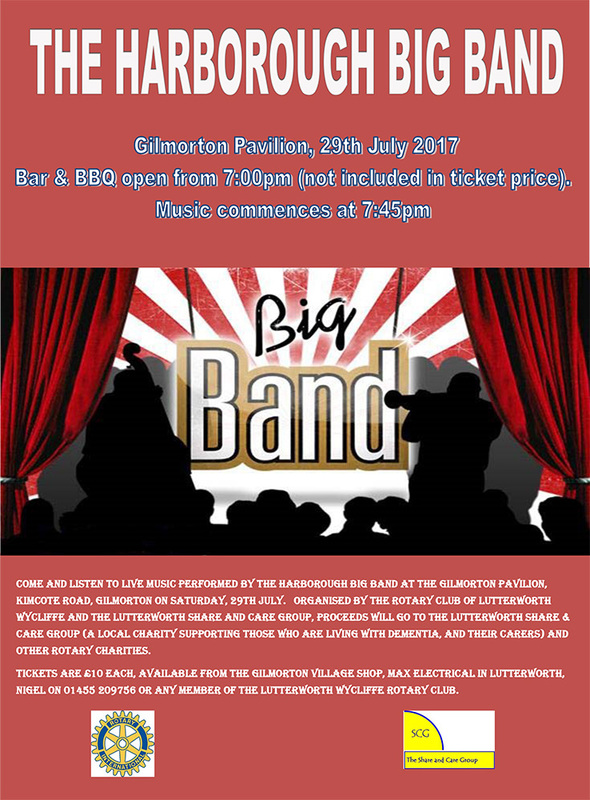 Tickets are £10 each, available from the Gilmorton village shop, Max electrical in Lutterworth, Nigel on 01455 209756 or any member of the Lutterworth Wycliffe Rotary Club. This entry was posted in Gig Diary, News. Bookmark the permalink.